For anyone that suffers from canker sores, tingling and burning of the tongue and inner mouth are signs that a canker sore is developing. Most people won’t be affected more than once or perhaps twice per year while some of us endure canker sores fairly regularly. These painful sores typically last around 14 days, in some cases a few more days, and can interfere with your ability to eat, drink, and talk. There are a number of natural remedies that can combat Canker sores. In this article we will cover what triggers canker sores, some natural remedies for treating canker sores and managing pain, and what precautionary steps you can take to prevent a future outbreak. We will cover bacterial infections, stress and hormonal changes. In the case of gum irritation, using an SLS Free Toothpaste will help alleviate these symptoms as the abrasive nature of most common toothpastes can inflame sensitive gums. Scientists have been unable to pinpoint what specifically causes canker sores. However, there are a number of common factors that seem to lead to their development. 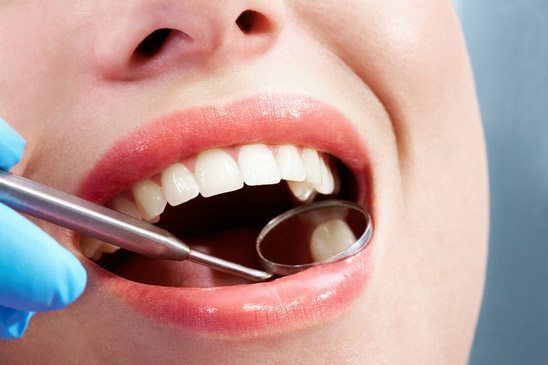 Bacteria: Studies have shown that there is a correlation between bacteria in the mouth and ulcer development. The bacterium responsible is known as Helliobacter pylori, and the best way to combat it is to maintain a high level of dental hygiene through daily brushing and flossing. Hormonal Changes : Women have a higher chance of developing canker sores than men (approx. double the rate of men). The reason that canker sores are more common in women is that their bodies go through more hormonal changes, such as menstruation, pregnancy, and menopause. The increase in hormones triggers canker sores in some women. Stress : As we begin to understand the underlying causes of many medical conditions, we are becoming increasingly familiar with the role stress can play. Stress can lead to many bodily ailments, and one of them is canker sores. The primary reason for this is stress weakens the immune system, effectively making the body more susceptible to infection. As the body becomes weaker and more unable to fight infection, canker sores can easily develop. Toothpaste : Toothpastes that contain Sodium Lauryl Sulfate can cause abrasion in the mouth leading to Canker Sores. If you have already developed a canker sore, there are a few simple treatment options to reduce the pain and heal the sore. Rinse : One of the simplest ways to combat canker sores is to rinse your mouth to help normalize pH levels (acidity). The most effective rinses are saltwater or aloe vera juice. Improving overall dental hygiene will help not only in the prevention of Canker Sores but also a number of known medical conditions including heart infection. Tea : Black tea contains an astringent called Tannin, which is known for its healing and soothing properties. Applying a cold, wet teabag to the canker sore for a few minutes will lessen the pain and heal the sore. Apple Cider Vinegar : Apple Cider Vinegar has many uses, including healing canker sores. To assist with healing, mix a teaspoon of Bragg’s apple cider vinegar with 8 ounces of warm water, and add a teaspoon of calcium-magnesium powder. Drink the solution slowly while making sure that it comes in contact with the sore. Use an SLS Free Toothpaste : Most common toothpastes and mouthwashes contain Sodium Lauryl Sulfate, a known skin irritant. Using an SLS Free toothpaste can be beneficial and in many cases reduce the amount of canker sores a person typical experiences. 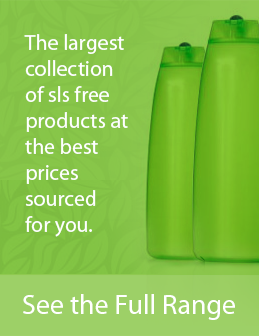 Click here for a full range of SLS Free Toothpastes. While there is no definite way to stave off the onset of canker sores, there are a few dietary changes that you can make to reduce the likelihood that they will occur. The main tips are to reduce stress, keep your mouth bacteria free by daily brushing and upkeep, take a daily multivitamin to strengthen your immune system, and increase the amount of lysine in your diet by eating foods such as fish and chicken. All of the above measures are natural remedies that you can take to become free of canker sores.